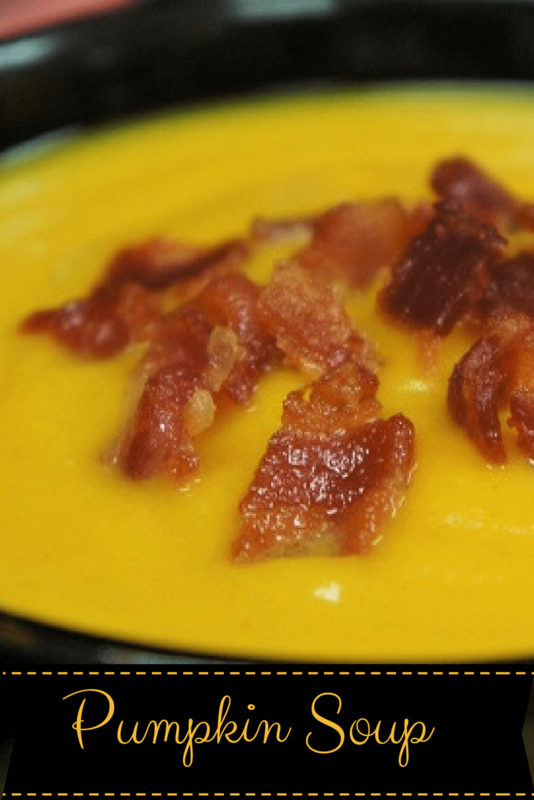 This pumpkin soup is really easy to make, affordable and comforting. Topped with a generous serving of crispy bacon, it’s anything but boring. 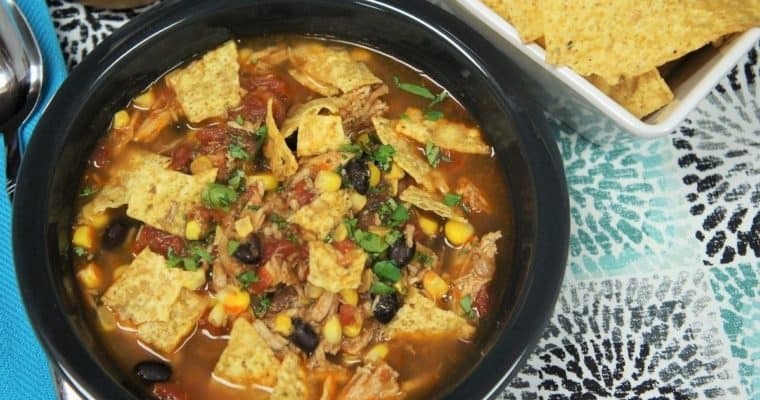 All the veggies are sautéed in bacon drippings, adding an extra layer of flavor to this delicious soup. So bring on cooler nights, you’ll be ready. Enjoy! Chop the bacon into roughly 1 inch pieces. I like to use kitchen shears instead of a knife, it’s quicker and neater. Try to make the pieces roughly the same size so they crisp up evenly. Heat a large pot over medium heat. Add the chopped bacon; cook until the bacon is crisp, about 8-10 minutes, stirring frequently. Once the bacon is nice and crispy, take the pot off the heat and remove the bacon using a slotted spoon. Set the bacon on a plate lined with a paper towel. When the bacon is cool enough to handle, crumble it a little bit, if desired. Set aside. Don’t discard all of the rendered bacon grease; leave about 2-3 tbsp. in the pot. Place the pot back over medium heat. Add the onions, carrots and celery to the pot. Cook for 5-7 minutes until the onions are translucent, stirring frequently. Add the garlic and coriander, cook 1 minute, stirring frequently. Raise the heat to medium-high; add the pumpkin and the chicken broth to the pot. Bring the liquid to a boil. 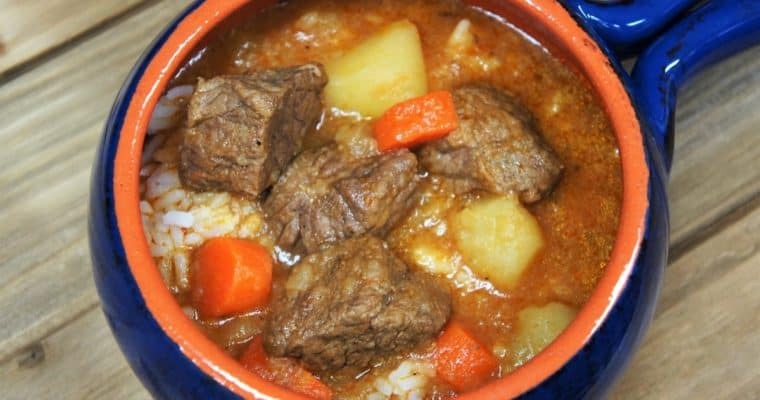 Lower the heat to medium-low, cover and cook, simmering, for approximately 30 minutes (until the pumpkin is very tender and breaks apart easily when pressed with a fork or spoon). Taste the pumpkin soup, season with salt, if needed and add a little black pepper, to taste. Stir well to combine. Still off the heat, add ¼ cup of heavy cream to the soup, stir well to combine. Place the pot over medium heat to warm the soup through. Do not allow the soup to come to a boil. 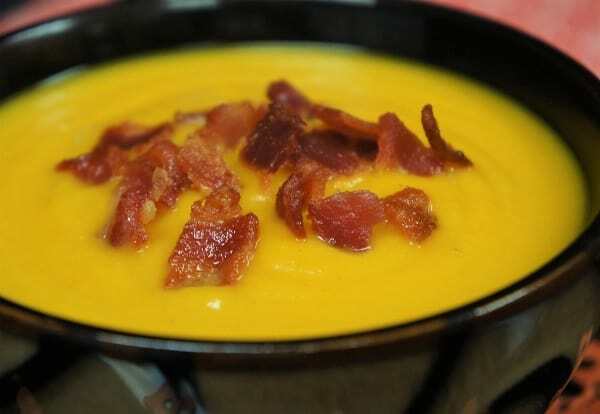 Serve the pumpkin soup and top with the reserved crispy bacon. After removing the pumpkin seeds, don’t throw them out. Make roasted pumpkin seeds instead; your family will love them! Separate the seeds from the stringy flesh place them in a strainer and rinse them well. Pat the pumpkin seeds dry, then toss them with a little bit of oil (I use olive oil) salt, pepper, paprika or your favorite spices. Arrange the seeds on a baking sheet in a single layer. Bake them in a preheated oven (350°F) for 10 minutes or so, stir them with a spatula and arrange them again on the baking sheet, continue cooking another 5-10 minutes until the seeds are completely dry.